It’s been a while since I got a photo of a butterfly. 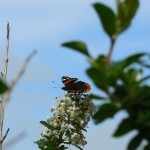 One of the early ideas for this blog was to take photos of all butterflies found in Ireland. The idea is still there but I have widened the scope to include general nature, lifestyle and some work related posts. Anyway, this butterfly has got me back on track. Today was a nice summer day and I was sitting outside having my lunch in the garden when this chap caught my eye. I thought about running for the camera and decided against it and continued with my cup of tea. 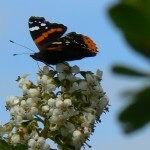 However the butterfly stayed for a good while on one set of flowers on the bush then moved to another. With that I ran for the camera and the butterfly was still there when I got back, phew! 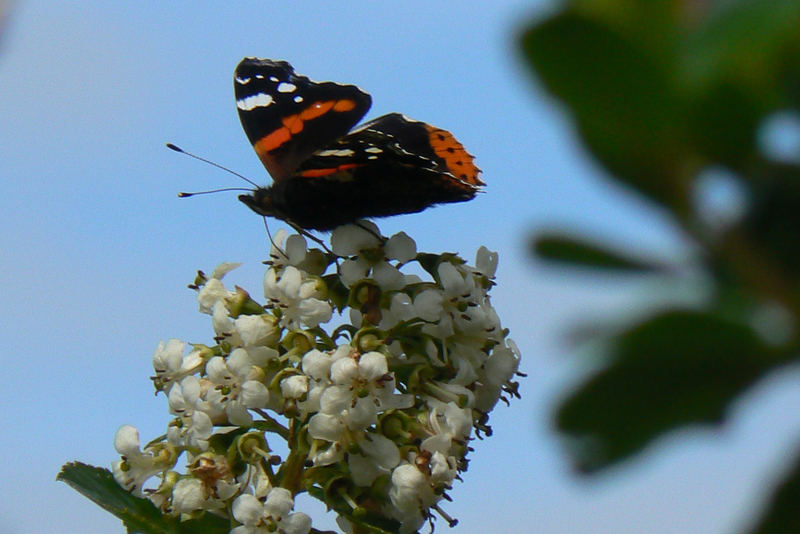 I have decided that it is a Red Admiral. More info about butterflies can be found here on the butterfly-conservation.org website. 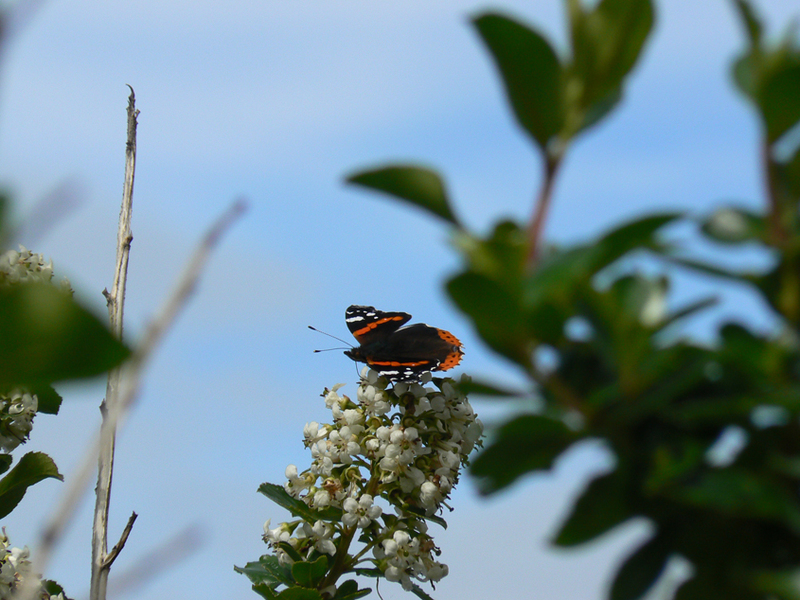 This entry was posted in Butterflies, Close Up, Nature and tagged Butterfly, Galway, Red Admiral on August 2, 2011 by admin.